Richard W is an Army Veteran who served for six years in the US military as a Communications Specialist. Based primarily out of Fort Dix NJ he was trained in utility cabling and was also an excellent marksman. After leaving the Army Richard worked for Ford Motor Corp in Wayne, MI. before moving to Ohio, in 1969, where he met his long-time partner Christine. They relocated to Atlanta where they have lived together since 1992. For a period of time Richard was homeless and frequently in the hospital due to COPD, during this time he was connected to the United Way and Homes of Light’s Hospital to Home Program. Richard and Christine got into an affordable housing situation through this Program and their health has improved significantly. This left transportation as a primary need for them in order to make Doctors’ appointments and complete necessary errands. At this point the Homes of Light – VetCar initiative recently helped them purchase a small car. 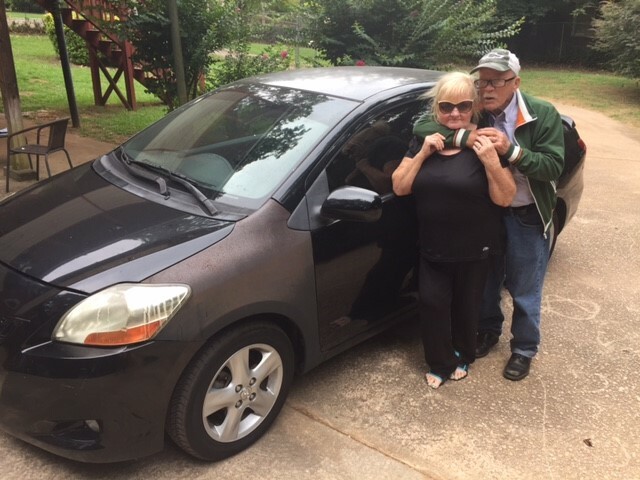 Richard calls VetCar a blessing because it gave them access to a vehicle they otherwise could not afford and it reduces the physical stress they were enduring with public transportation.